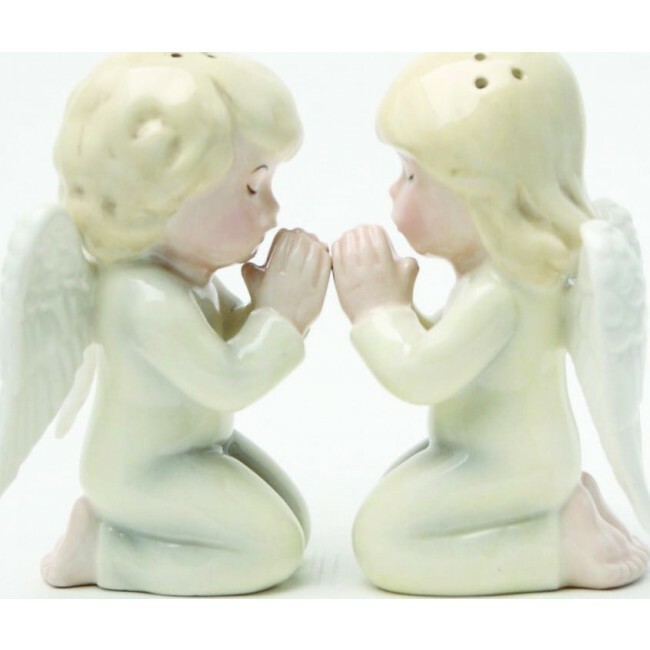 Kneeling Angels Magnetic salt and pepper shakers. Height: 3 5/8". Angels have no philosophy but love. Get the Angels Kneeling 3 5/8" ceramic salt and pepper shakers, and bring love into your kitchen. Features a magnetic insert to hold the two shakers together.